On Wednesday, Oct. 25, we invite everyone to join us for our annual Fall Festival and Trunk-or-Treat! Come in costume and enjoy the fun! If you would like to decorate a trunk or participate in games, email Leslie Bowers at lbowers@northbrookumc.com. Tex's Taco Truck will arrive at 5:00. Fun and games begin at 6:00. Festivities go to 7:30. 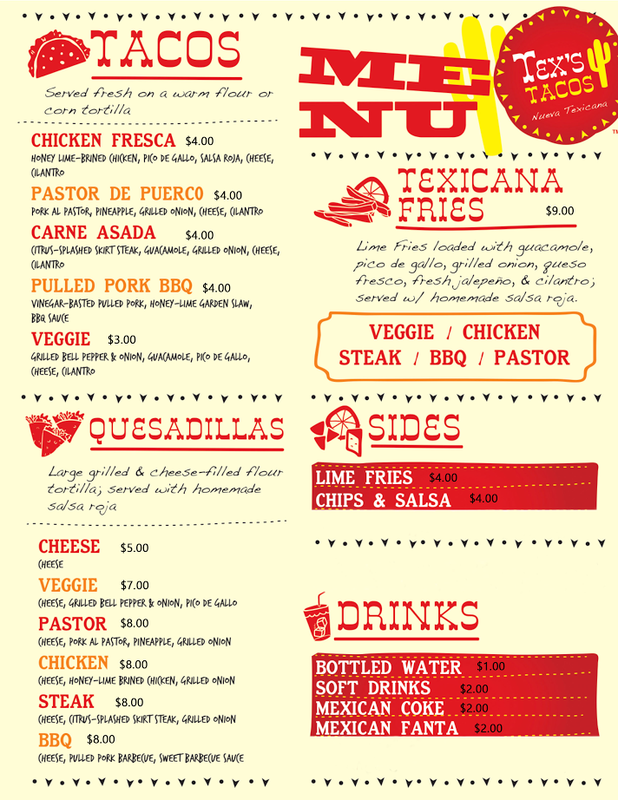 Tex's Taco's menu is located below.